Modified Stableford is a Stableford competition whose rules have been modified. A Stableford competition employs a points system that is set forth in the Rules of Golf under Rule 32. 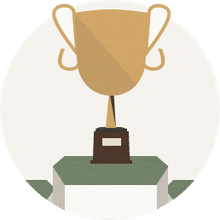 The Modified Stableford scoring system employs the same principle - golfers are awarded points based on their performance on each hole - but with a different set of points than what is described in the rule book. Instead of adding up strokes, golfers add up points, and high point total wins. A Modified Stableford scoring system typically awards more points for a great score on a hole compared to the rule book definition of Stableford, while also including greater penalties (in the form of point reductions) for bad holes. Modified Stableford is better known than the rule-book version of Stableford because PGA Tour events have been played using the modified version. Let's say on the first three holes a golfer makes a par, a par and a birdie. That's 0 points, 0 points and 2 points, for a total of 2 points after three holes. On Hole 4, the golfer scores an eagle. That's 5 points, so his total is now 7. But on the fifth hole, he bogeys, which is worth minus-1. So his total after five holes is 6 points. And so on. To be clear: golfers are simply playing stroke play in a Modified Stableford competition. But rather than writing down the number of strokes taken on each hole, the golfer writes down the number of points earned. If you make a birdie on a par-5, you don't write down "4" (for strokes), you write down "2" (because in the point values listed above, a birdie is worth two points). To see how this compares with the rule-book Stableford scoring, check out the Stableford definition. For further explanation, please see: How to Play Stableford or Modified Stableford Competitions. Note that a Modified Stableford tournament doesn't have to use the point values listed above, and many don't. At the level of a local club tournament, for example, organizers might choose to make pars worth a point and bogeys 0, adjusting the point values to account for the level of play. Most Modified Stableford tournaments in pro golf use the points system list above. The first Modified Stableford tournament on the PGA Tour was The International, a tournament no longer played. 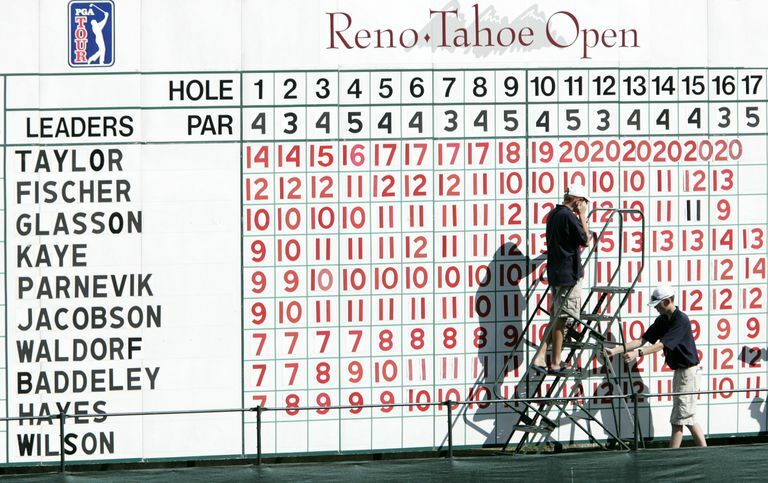 Beginning in 2012, however, the Reno-Tahoe Open - now called the Barracuda Championship - switched to Modified Stableford scoring. There are no other tournaments on major pro tours currently using Modified Stableford scoring, but several other tours have, in the past, played tournaments under that scoring system.